Dynamic Team Concepts has been in the acrylic plastic fabrication business since 1995. Everything acrylic is what we specialize in. Our commitment ever since was to give customers quality finished products with reasonable cost. We have worked with companies on their various in-store POP displays and it has increased their visibility in this very competitive market now. 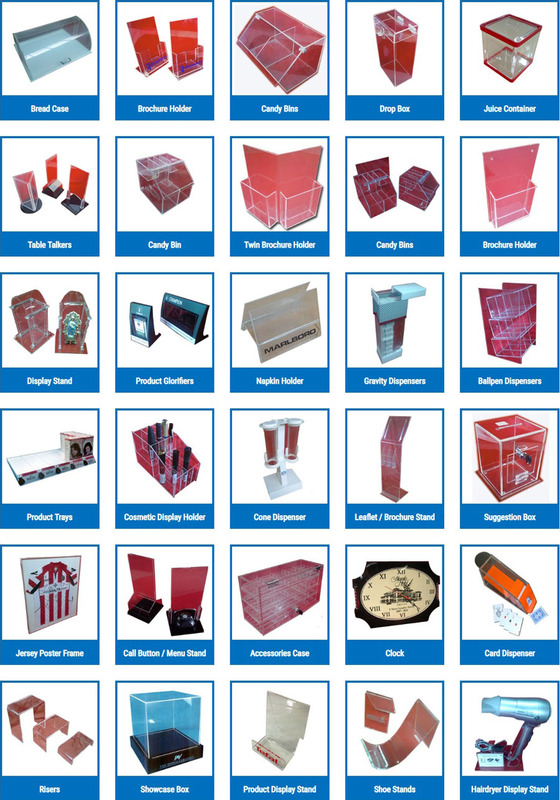 We also do custom-made products suited for advertising needs or for functional purposes. For any queries, just email us your requirements and we will assist you in developing and fabricating the product you want.